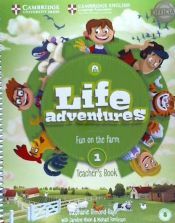 Otros libros de Tomlinson, Michael John son Life Adventures Level 1 Pupil's Book, Life Adventures. Pupil's Book. 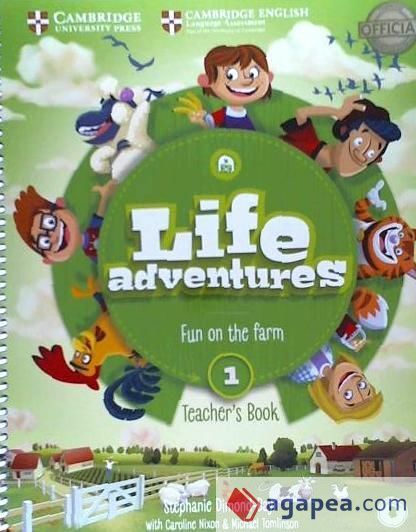 Level 5, Life Adventures Level 1 Activity Book With Home Booklet And Online Activities, Life Adventures Level 3 Activity Book With Home Booklet And Online Activities, Life Adventures. Activity Book With Home Booklet And Online Activities. Level 2, Life Adventures. Activity Book With Home Booklet And Online Activities. Level 5, Kid's Box For Spanish Speakers Level 1 Pupil's Book y Kid's Box For Spanish Speakers 5: Class Audio Cds. .
Otros libros de Nixon, Caroline son Kid's Box For Spanish Speakers 3 : Class Audio Cds, Kids Box For Spanish Speakers, Level 5 : Pupil's Book, Kid's Box For Spanish Speakers, Level 1 Wordcards, Kids Box For Spanish Speakers, Level 1 : Class Audio Cds, Kids Box For Spanish Speakers, Level 2 : Class Audio Cds, Kid's Box For Spanish Speakers Level 2 Activity Book With Cd-rom And Language Portfolio 2nd Edition, Kid's Box For Spanish Speakers Level 1 Activity Book With Cd-rom And Language Portfolio 2nd Edition y Kid's Box For Spanish Speakers Level 2 Pupil's Book With My Home Booklet 2nd Edition. .
Los autores de este libro, con isbn 978-84-9036-025-5, son Caroline Nixon, Stephanie Diamond-bayir y Michael John Tomlinson, esta publicación tiene doscientas dieciséis páginas.